Sea, Sand & Sky: "Crabs, Crabs and Oh Yea, More Crabs!" "Crabs, Crabs and Oh Yea, More Crabs!" "Eww, what is that?!" and "Cool!" 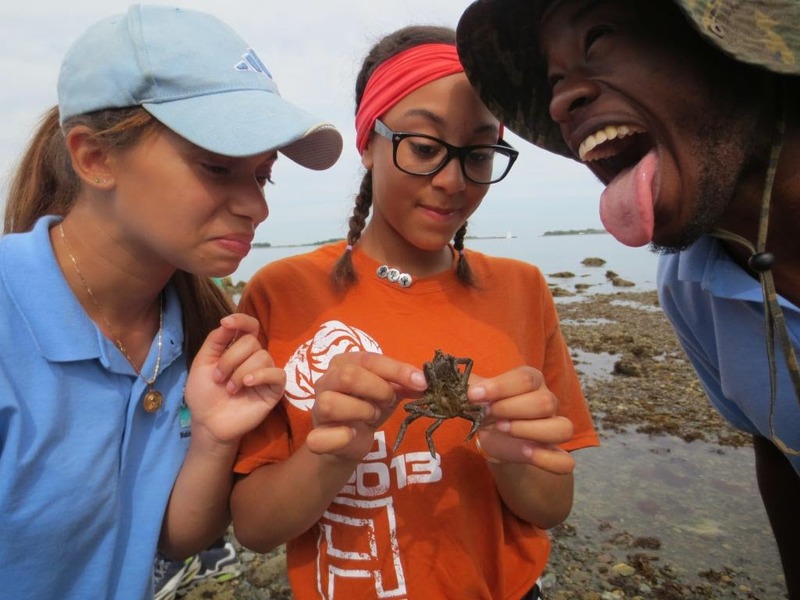 were a few of the different reactions the children at Camp Harbor View had when they first encountered the harbors beautiful and unique species of crabs. Asian Shore Crabs covered the rocky beach like a snowy blanket in the winter time. Shells of oysters were being smashed and dismantled. Loud crunches followed each step. After walking a bit we decided to stop and look around the area, the hunt was officially on. Rocks wrapped in barnacles were being flipped left and right, crabs were in the hands of every camper there. Even those who declared earlier that they would not touch anything on the beach found the crabs to be interesting. Kids were helping each other lift bigger rocks to find the biggest crab they could find. Hermit crabs, spider crabs and Asian Shore Crabs popped up faster than I could ever imagine. A camper and I with a cool spider crab. The curiosity about the crustaceans' filled me with joy. 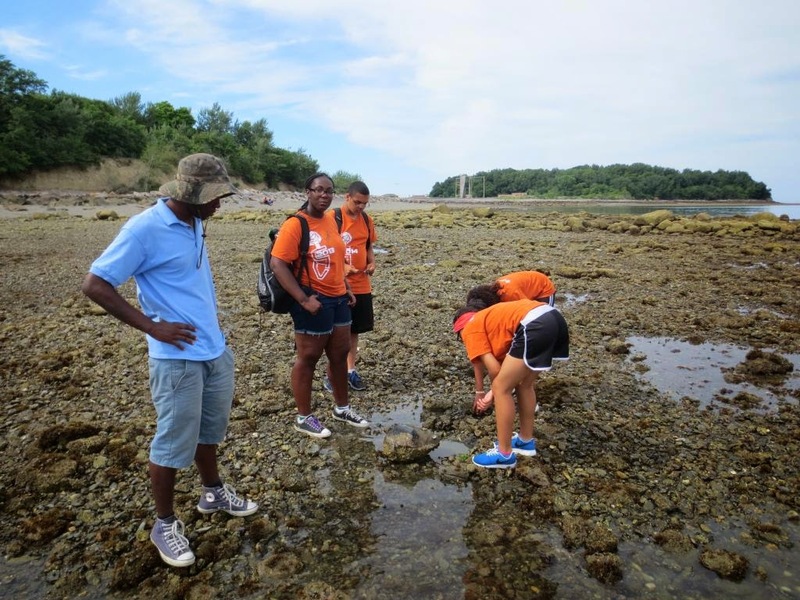 I love teaching children about marine life and the importance it has on the Boston Harbor. Their engagement and undivided attention only made that love for teaching that much more rewarding. They were really listening and never sat down for one second. I was telling them to slow down with the questions as there was no way I could answer them all at once. However, the enthusiasm did make me smile and kept me going. We walked on and on. Continuing to flip rock and dig deep in the clear waters and muddy sands. After forgetting the time, we realized we were almost 10 minutes over the time and weren't excited at all to have to leave this group.